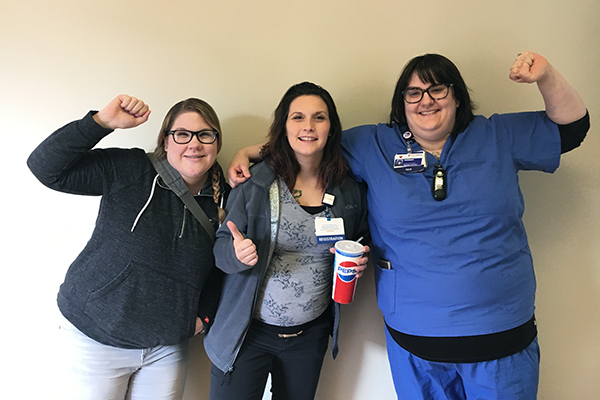 MILWAUKIE, OR – Caregivers including certified nursing assistants, phlebotomists, dietary aides and environmental service workers at Providence Milwaukie Hospital voted overwhelmingly to join the Service Employees International Union (SEIU) Local 49 on Thursday, June 14. Nearly 200 Providence employees will now join SEIU Local 49. The hospital workers cite their desire to provide high quality patient care with adequate staff as the primary reason for forming together as a union in the hospital. Workers also voted to form a union for an opportunity to negotiate more affordable medical benefits, wage increases that keep up with the growing cost of living in the region, and a stronger voice in the workplace.